Written by Greg Elwell, Brittany Pickering, Jennifer Chancellor, Kory B. Oswald, Taylor Duane and Kaley Patterson. Photos by Mark Hancock, Garett Fisbeck, Keaton Draper and Gazette Staff. One in four children and one in six adults in Oklahoma do not know where their next meal will come from. These could be the children in a teachers classroom or a person you passed on the streets during a commute to work. Regional Food Bank of Oklahoma provides enough food to feed more than 110,000 Oklahomans every week, which is why Gazette readers voted the organization Best Place to Volunteer in OKC. 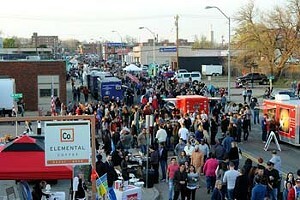 OKCs premier food truck event began in 2011, drawing a crowd of 200 to the area around Hudson Avenue and Eighth Street. Today, it is one of the countrys largest food truck events and boasts monthly crowds of 20,000-40,000, making it a model for similar festivals in other cities. It features an array of the citys most popular local trucks and live music, a vendors market and even valet parking for your bicycle. And the best part about H&8th Night Market is that admission and entertainment is free. 3. Sonic Summer Movie Nights at Myriad Botanical Gardens, 301 W. Reno Ave.
University of Central Oklahomas Jazz Lab is a little slice of the New Orleans jazz scene tucked into a quiet corner of an OKC suburb. For 15 years, it has offered local music aficionados and students a chance to see internationally famous musicians in a smaller, more personal setting and allowed local bands to play in a professional venue. By day, it serves as a learning center for UCOs music students as well as a world-class recording studio, but at night, it gives patrons a music experience they cant get anywhere else in the metro. 2. 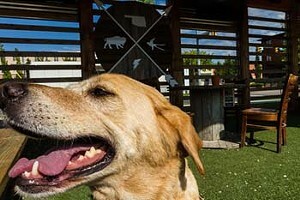 Wormy Dog Saloon, 311 E. Sheridan Ave.
3. 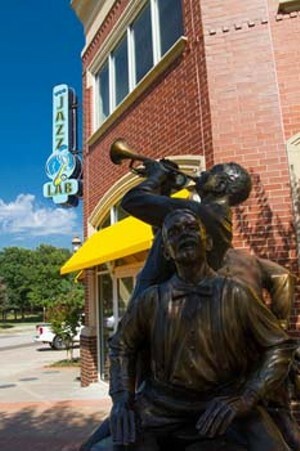 The Blue Note Lounge, 2408 N. Robinson Ave. 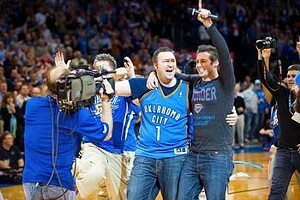 If you want to see some of the hottest touring acts in music, Chesapeake Energy Arena is the place to be. Its one of the largest venues in OKC and regularly hosts Top 40 artists from around the world and classic acts from the heyday of rock  thats right; you can see Lil Wayne and Def Leppard in the same venue! As you get comfy in the stadium seating, you and more than 16,000 of your friends can rest easy knowing that when it comes to concerts, the Peake knows what its doing. 2. The Zoo Amphitheatre, 2101 NE 50th St.
3. Civic Center Music Hall, 201 N. Walker Ave.
You dont have to spend your club nights in a bar playing the same music as the other three down the street with the same people you see every time you go out. Groovys is a local club venue unlike any other. Patrons of all ages dance the night away every Wednesday-Saturday to music from the last five decades on a packed dance floor. Youll be sad when you hear Last call! and realize you actually do have to leave the party eventually. 2. The Copa, 2200 NW 40th St.
3. 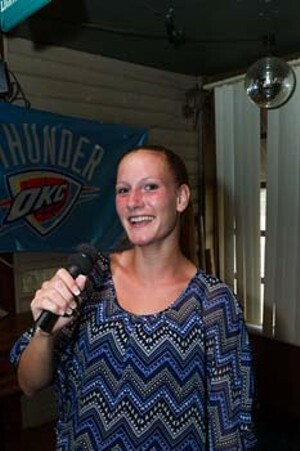 Cowboys OKC, 2301 S. Meridian Ave.
Are you itching to belt out Journey songs at the best karaoke bar in the city? Do you believe you could give Dr. Dre and Eminem a run for their money? Want to make all the drunk people depressed by singing with Radiohead about how youre just a weird Creep who doesnt belong anywhere? Well, that last ones a little bit of a downer, but you dont need to look any further than Nancys 57th Street Lighthouse, an OKC favorite for years. 3. Cookies, 2304 N. Western Ave.
IAO Gallerys particular mission  showing art that is intellectually or aesthetically provocative or experimental in subject matter or technique  gives it the distinction of being one of the most interesting and eclectic galleries anywhere. Since 1979, IAO has provided a professional space in which experienced and up-and-coming contemporary artists can display socially relevant works. 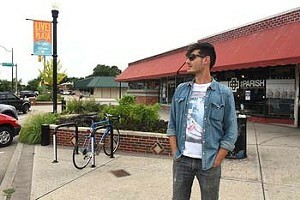 Its located in the historic Film Row district and hosts music performances as well as artist talks and exhibitions. 2. DNA Galleries, 1709 NW 16th St.
3. The Howell Gallery of Fine Art, 6432 N. Western Ave.
From dazzling traveling exhibits to its permanent collection of Dale Chihuly glass  one of the largest in the world  Oklahoma City Museum of Art is a metropolitan museum with something to suit everyones artistic tastes. 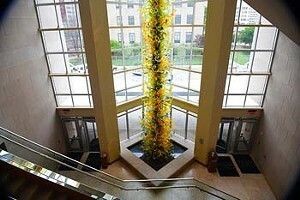 OKCMOA has been the citys destination museum since 1945 and features a large selection of American and European art. It also has the distinction of being one of the only art house movie theaters in the state, showing world-renowned films from all over the globe every week. 2. 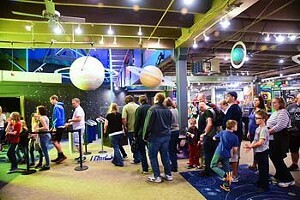 Science Museum Oklahoma, 2100 NE 52nd St.
3. National Cowboy & Western Heritage Museum, 1700 NE 63rd St. If youve lived in Oklahoma through at least one holiday season, youre familiar with BC Clark Jewelers catchy jingle insisting that jewelry is the gift to give cause its the gift thatll live and live. (Its stuck in your head now, isnt it?) 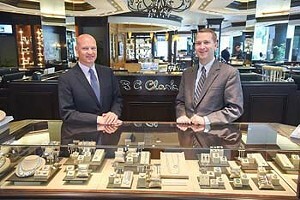 But do you know its the best fine jewelry shop in OKC? The store was established in 1892 in what was then Indian Territory and has provided the metro with quality fashion jewelry, watches and engagement and wedding rings ever since. 3. Naifeh Fine Jewelry, 9203 N. Pennsylvania Ave.
Theres no thrift store in the metro as eclectic as Bad Grannys Bazaar in the Plaza District. Its full of clothing, accessories and homeware that would even impress your good granny and rival all the treasures she has stored up in the attic. Do you spend your days dreaming of finding a fringed leather jacket as glorious as Macklemores? Then why are you still reading this? You and your hipster friends need to hurry up and pop some tags at this gem. 3. Uptown Thrift, 2215 SW 74th St. In the past few years, mens fashion has melded dressed-up and casual and resulted in a polished, cool look that would make even James Dean jealous. Blue Seven carries everything from socks and boots to quality button-up shirts and denim and has kept up with trends while maintaining a penchant for individuality. It is a premier destination for men who like to keep things casual while still looking like they actually showered. Whether they need to find a flirty dress and some funky new jewelry to wear to a festival or a new pair of jeans and sandals to lounge around in for the rest of the summer, women know that Blue Seven is a one-stop shop. Each trip to Blue Seven promises established essentials and loads of unexpected surprises, making it the best womens boutique in the city for the last few years. 2. Lush Fashion Lounge, 14101 N. May Ave. This boutique is stocked full of gorgeous gifts for every occasion. Whether youre on your way to a party or youre registering for a wedding or baby shower, On a Whim has you covered. This shop is so full of fine china in a wide variety of patterns, candles, makeup and beauty supplies and trendy dresses, shoes and jewelry that you will find yourself making up excuses to stop in and buy yourself a little treat just for being so awesome. 3. Plenty Mercantile, 807 N. Broadway Ave.
Thirty thousand students learn from nearly 3,000 faculty members and study everything from engineering to linguistics at the University of Oklahoma (OU) each year. With a nationally famous athletic department, a sprawling campus, renowned medical and law programs and a wealth of undergraduate and post-graduate degree programs, its not hard to see why OU is OKCs favorite university. The Princeton Review agrees and has repeatedly named OU one of the best academic and cost-effective schools in the country, and its right here in the metro. 3. 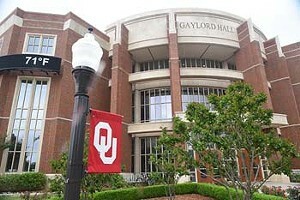 Oklahoma State University at Oklahoma City, 900 N. Portland Ave. Whether the effects of aging are making you uncomfortable, your nose identifies just a little too much with Rachel Greens old nose or youre interested in reconstructions, Dr. Tim. R. Love is here help. 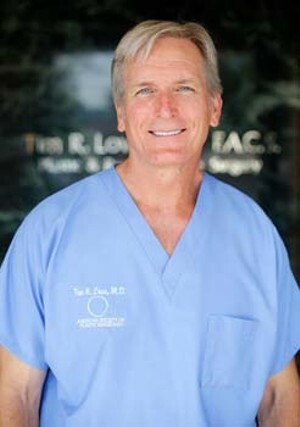 One of OKCs most respected cosmetic surgeons, Dr. Love has experience in a range of surgeries, from face-lifts to breast augmentation and reconstruction. And you can rest easy knowing that Dr. Love is certified by the American Board of Plastic Surgery. 3. Cosmetic Surgery Affiliates; Dr. Erik J. Nuveen M.D. D.M.D., 2100 NW 63rd St.
Worth mentioning: Jones Plastic Surgery; Dr. Juan A. Brou, M.D. Are you envious of model and reality star Kylie Jenners voluptuous new lips? Want to get rid of those pesky eye crinkles and stress wrinkles? Afraid to be put under but still want to look and feel like you did ten years ago? Want a transformation without the hassle of an invasive procedure? 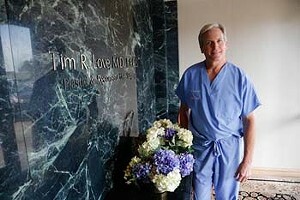 Dr. Tim R. Love can still help you. In addition to cosmetic surgery, Love offers a number of nonsurgical procedures including Botox injections, Fraxel laser treatments and even hair implants. If your bicycle needs a tuneup or youre in the market for a new ride so you can enjoy all of OKCs new trails and bike lanes, look no farther than Als Bicycles. Its shops carry an array of bikes for all your riding needs, whether youre hitting the trails, riding back and forth to work or into learning BMX tricks with your friends. Als has two locations in OKC, one in Edmond and one in Norman to serve your cycling needs in whichever part of the city youre pedaling through. 2. 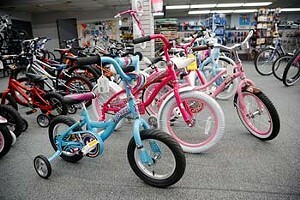 Schlegel Bicycles, 900 N. Broadway Ave.
3. Wheeler Dealer, 2729 NW 50th St.
Target has absolutely everything. We like to pretend its a local store while we walk around for hours and spend all our money on things we didnt know we needed before we walked in. And with six locations in the metro, its pretty difficult to ignore  especially when its glowing red sign and the smell of popcorn, coffee and great deals are calling your name. 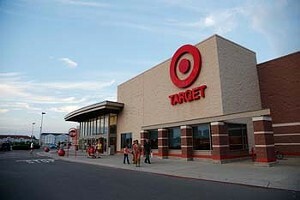 Why oh why cant Target be local?! 2. Anthropologie, 6100 NW Grand Blvd. 3. Nordstrom Rack, 1741 Belle Isle Blvd. Lions and tigers and bears  oh my! And dont forget the elephants, primates, reptiles, seals and birds! When Oklahoma residents want to feel like theyve taken a trip to an exotic location but dont want to deal with the hassle of traveling, they head to The Oklahoma City Zoo. One of the top zoos in the country, it is home to more than 1,800 animals and offers countless educational activities for the whole family. OKC has spoken! 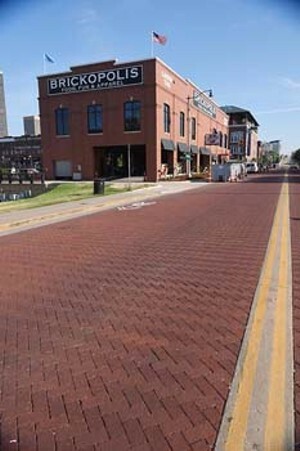 Bricktown is the district to rule them all! In the past few decades, it has seen extensive revitalization and has become the citys destination for date night, a night out with the girls, a fun day trip with the family or even a quiet afternoon stroll alone. It boasts a canal, dozens of restaurants, a movie theater, a bowling alley and a ballpark. Bricktown is also home to numerous holiday celebrations, festivals and concerts that help make it one of OKCs favorite and busiest districts. You havent experienced all OKC has to offer if you havent been to The Boom. Its located in the citys LGBT district and attracts revelers of all kinds  no matter their sexual orientation  six days a week. The Booms Sunday Gospel Brunch is legendary, and you wont find a better dinner show in the city. What are you waiting for? Go dance the night away with your friends and maybe even some fabulous drag queens. 2. Dollhouse Lounge & Burlesque, 210 E. Sheridan Ave.
3. Night Trips, 220 S. Vermont Ave.
Trendsetters consider The Factory the best new shop to open in the past year, and it isnt hard to see why. The Factory carries stylish statement pieces perfect for any occasion, whether youre dressing for a fancy party or just hanging out with friends. It also stocks an array of mens formal and casual clothing and mens and womens accessories, hats and shoes. Plus, Thunder fashion king Russell Westbrook shops there, so you know its full of classy statement pieces. 2. Out on a Limb, 1710 NW 16th St.
Everyone in Oklahoma loves animals, and nobody loves them more than Central Oklahoma Humane Society. If you want to foster or adopt a dog or cat or just want to donate some of your time or money to help out Oklahomas little furry friends, the humane society is the place to do it. 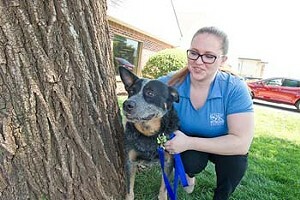 It also offers spaying and neutering services in addition to its mission to end needless animal euthanasia. Thats what makes it OKCs best nonprofit. 2. 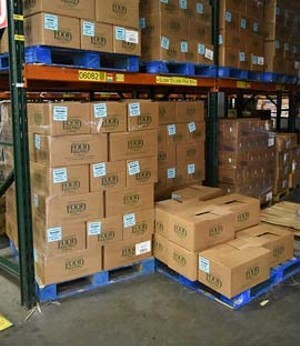 Regional Food Bank of Oklahoma, 3355 S. Purdue Ave.
3. Infant Crisis Services, 4224 N. Lincoln Blvd. Vaping and vapor shops have been rapidly growing in popularity, but OKC Vapes is one step ahead of the game. Never heard of vaping before? Where have you been?! Dont worry; employees at OKC Vapes have the answers to all your questions. Are you already a vaping enthusiast in need of the latest and greatest technology? 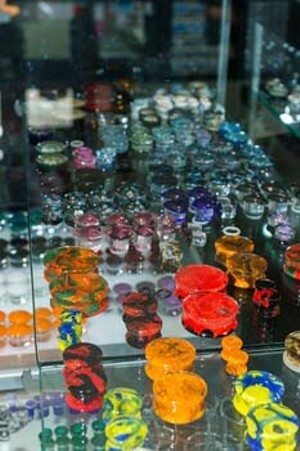 OKC Vapes has a wide selection of advanced vapors and accessories. Wherever you stand in the world of vaping, OKC Vapes is the place to go for your vaping needs. 2. Vapor World, 8911 SE 29th St.
3. Liquid Vapor Lounge, 6608 N. May Ave. The Plaza District is the hipsters paradise, so if youre looking for the hipster of your dreams, youre likely to find him or her hanging out here. 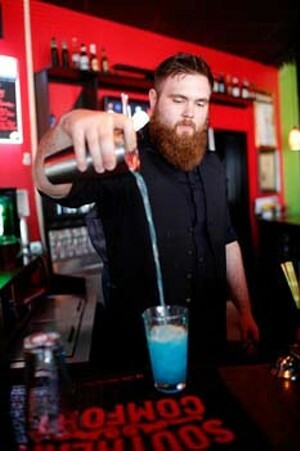 Guys with beards and girls in vintage clothing spend their free time roaming the retail shops, dining establishments and performance venues that make up the Plaza District. Let one of them tell you about a band youve never heard of over lunch at one of the districts many food joints. 3. The Mule, 1630 N. Blackwelder Ave.
Everyone knows that buying a new car can be a stressful experience. Thankfully, Bob Moore Auto Group is here to make the entire process a little less painful. 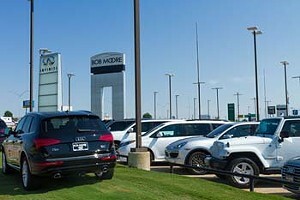 Its knowledgeable employees will show you a wide selection of fresh-from-the-factory Audis, Cadillacs, Jeeps and more. Theyll have you cruising the streets in a perfect brand-new ride in no time. Not looking for a brand-new ride? Bob Moore Auto Group happens to be the No. 1 choice for pre-owned vehicles too. Youre guaranteed to find something you like among its huge selection of used cars and trucks, all at reasonable prices. 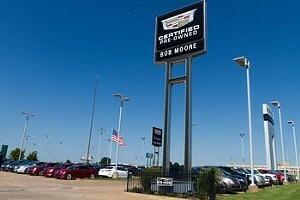 Youll drive off the lot feeling confident in your purchase with the help of Bob Moores expert staff. Red Coyote knows what its doing when it comes to fitness. 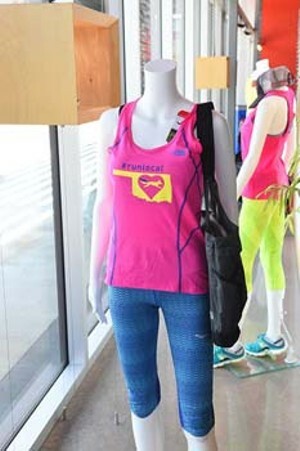 This locally owned shop will find you the perfect running shoe with its fit analysis system, hook you up with a dietician to help you achieve your wildest nutrition dreams and have you dressed head to toe in top-of-the-line workout gear. With a wide selection of only the best fitness brands and a staff bursting with product knowledge, Red Coyote is the ultimate go-to for all things fitness. 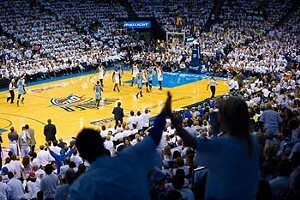 With a seating capacity of 18,203, its no wonder that an OKC Thunder game at Chesapeake Energy Arena won this category. Where else can you be seen by more than 18,000 people while watching your favorite NBA team dominate the court? So get decked out in your best Thunder gear and cheer on your team along with an arena chock-full of your closest friends. 2. The Bleu Garten, 301 NW 10th St. There are few activities that are pleasurable for both parents and children alike. 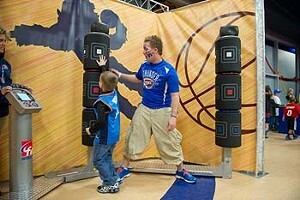 The McDonalds playground offers no entertainment value for adults, but a Thunder game is fun for the whole family. Kids admire professional athletes, and theyll love watching Kevin Durant and Russell Westbrook in action while Mom and Dad enjoy the game. 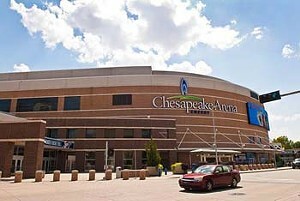 Plus, if your little ones are 2 years old or younger, they get into Chesapeake Energy Arena for free. 2. 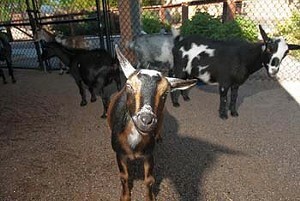 The Oklahoma City Zoo, 2101 NE 50th St.
3. H&8th Night Market, 815 N. Hudson Ave. The selfie has been dominating social media for a while now, and everyone knows that the place you snap your selfie is a deciding factor in the number of Instagram likes it receives. For maximum social media praise, ditch the mirror pic and snap a selfie while having a blast at an OKC Thunder game. Youre sure to earn the envy of all your social media followers while also showing your love for the team. 2. Myriad Botanical Gardens, 301 W. Reno Ave.
3. Vast, 333 W. Sheridan Ave.
Fighting hunger isnt easy, but Regional Food Bank of Oklahoma is doing an exceptional job. Every week, it serves meals to more than 110,000 hungry Oklahomans with the help of volunteers and community support. You can pay it forward and help fight hunger by volunteering to serve meals, donating money or organizing a food drive. 3. Jesus House OKC, 1335 W. Sheridan Ave. Dogs are part of the family too, and thats why you should eat at The Bleu Garten, where the food is delightful and dogs are welcome as long as theyre on a leash. Open every day but Monday, The Bleu Garten offers a changing selection of the citys best food trucks as well as a full-service liquor bar in an outdoor dining environment unlike any other in Oklahoma. This venue is open year-round with shaded seating and misters in the summer and heaters in the winter. 3. Picasso Cafe, 3009 Paseo St. 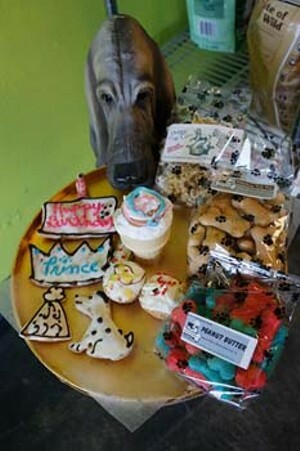 When it comes to spoiling pets, Barking Dog Bakery has it down to a science. It offers gourmet treats ranging from cupcakes to popcorn that are prepared with love and the highest quality ingredients. It also has hand-picked products like luxury shampoos and conditioners, locally made leashes and collars and more for that special dog or cat in your life. Whether its your pets birthday, a reward for a job well done at the vet or just to show some love, Barking Dog Bakery has what youre looking for. As much as we would all like to never need to borrow money, sometimes its unavoidable. When you need extra cash for that new house or car, Tinker Federal Credit Union will help you out with low interest rate loans and financial guidance. 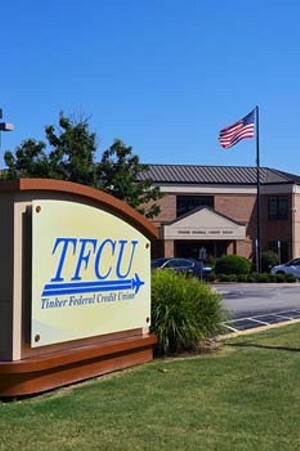 As the largest credit union in Oklahoma, TFCU has provided more than 305,000 members with financial excellence for nearly 70 years. 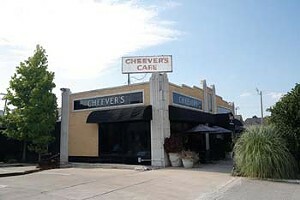 If you want to please that special someone in your life on their birthday or an anniversary, youll take them to Cheevers Cafe. It offers comfort food with a twist and a fabulous selection of wines. Nothing says Happy birthday! or Happy anniversary! better than a menu complete with Cheevers chicken-fried steak and bleu cheese potato chips. The restaurant is popular, so be sure to make reservations for your celebratory night. 2. Paseo Grill, 2909 Paseo St.
3. Red PrimeSteak, 504 N. Broadway Ave.
No one likes to go to the casino and lose, which is why Riverwind Casino is your best bet. Whether youre into the entertaining electronic games or youre looking for a high-stakes poker match, Riverwind has it all with 17 poker tables, 19 table games, off-track betting and more. Not only is it the most rewarding casino in OKC, but it also offers excellent hotel accommodations so you have a place to crash after a long night of gaming. 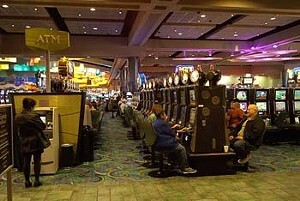 If youre feeling lucky, head to Riverwind Casino. In the nearly 60 years since it opened, Science Museum Oklahoma has become the metros ideal geek playground. With unique exhibits, a planetarium and the impressive Dome Theater with a screen 70 feet in diameter, theres no better place to get your geek on. You dont even have to be a science wiz to enjoy this place. In June, the museum opened CurioCity, a 20,000-square-foot exhibition that is bigger than most standalone childrens museums. Its displays integrate science and art, resulting in a learning experience that visitors easily mistake for fun. 2. 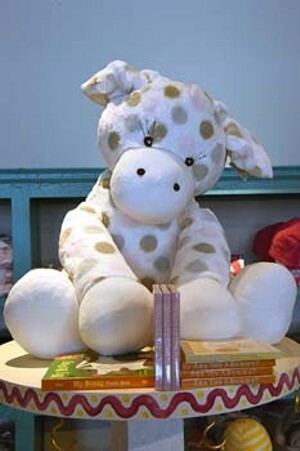 Full Circle Bookstore, 50 Penn Place, 5000 N. Pennsylvania Ave. Whether youre nursing a hangover or tackling an omelet before work, Jimmys Egg has what you need to start your day right, including your current issue of Oklahoma Gazette. There isnt a better way to kick-start your day than with endless coffee, a huge plate of fried eggs and a way to learn about your citys coolest and most current nightlife. With around 10 metro locations, it is as accessible as your mothers house, except its better because the folks at Jimmys Egg wont nag you about your shortcomings. 2. Byrons Liquor Warehouse, 2322 N. Broadway Ave.
With a handful of locations from which to choose, there is hardly a night of the week that you cant play trivia at The Garage Burgers & Beer. 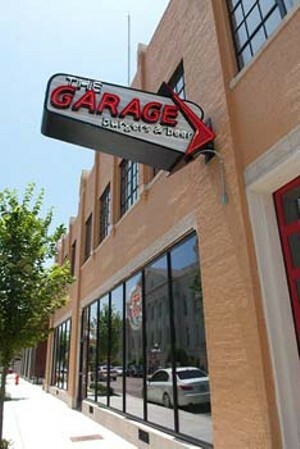 Get your friends together, check eatatthegarage.com for the nearest location and trivia night and then fill up on ale and hamburgers while you push your brainpower to win $20 cash and bragging rights. It even offers prizes for second and third place! 2. 51st Street Speakeasy, 1114 NW 51st St.
With four in-house piercers and guest artists coming in from places such as New Orleans, 23rd Street Body Piercing earned OKCs top vote for body modification. 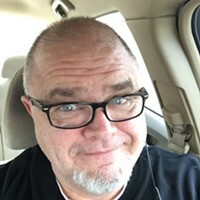 And it doesnt surprise us here at the Gazette because the piercers there have more than 50 years of combined experience. It also claims to have the states only members of the Association of Professional Piercers and meets or exceeds Oklahoma State Department of Health safety standards. 2. Atomic Lotus Tattoo, 409 NW 23rd St.
3. No Regrets Tattoo, 1712 NW 16th St.
With at least 10 metro locations and many more across the region, Hobby Lobby makes it challenging to find a more accessible store for your crafting and makeover needs. If you want to frame your latest concert poster or painting from a local artist, we challenge you to find a less expensive place in which to do it. Need some fabric or fake flowers? 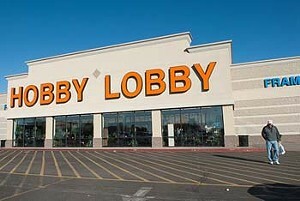 Hobby Lobby is your place to make the most of your home. You voted for it, and it won like that epic biblical face-off between David and Goliath. 2. RetrOKC, 1708 NW 16th St.
3. Mathis Brothers Furniture, 3434 W. Reno Ave. 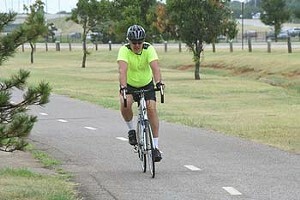 The Bert Cooper Trails surround the lake and offer more than nine miles of asphalt trails that connect many of Lake Hefners recreational areas. Bike, walk or run wild on these trails  which are as wide as 12 feet in some parts  and you will see why it was voted Best Place to Work Up a Sweat. The trails also feature playgrounds, access to Lake Hefner Golf Course, picnic areas, fishing docks, sail boarding, a restaurant and ball fields  everything you might need to have fun in the Oklahoma sun. Get your fill of dinner, drinks, dancing and drama  the fun kind!  at The Boom. 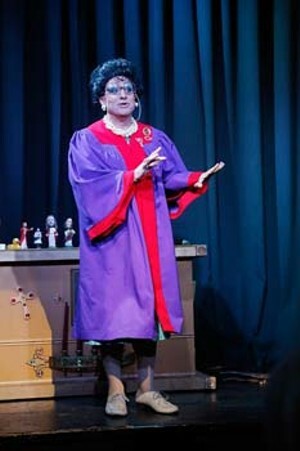 The venue features a full-service kitchen and bar, Sunday Gospel Brunch with Kitty and Norma, Trashy Thursday, musical theater, female and male illusion revues, bingo and karaoke. The only thing missing right now is you. Well see you there. 2. HiLo Club, 1221 NW 50th St.
3. Copa, 2200 NW 40th St. Founded in 1992, Bricktown Brewery offers its distinctive handcrafted beers, burgers made with Creekstone Farms beef (free of antibiotics, hormones and growth-promoting drugs) and Neuskes bacon and plenty of pregame and pre-concert party space in which to unwind, wind up, rally fans and loudly boast about your crush on Oklahoma City Thunder mascot Rumble the Bison. 3. 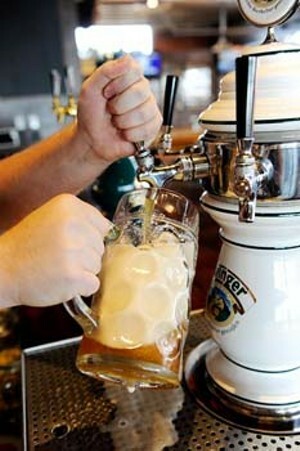 TapWerks Ale House, 121 E. Sheridan Ave.
Fassler Hall serves huge mugs filled with your choice of over a dozen styles of German and English draft selections and countless bottled varieties of local, regional, national and international craft beers. Grab a Euro-style bench for you and your coed indoor soccer teammates while you revel in the brutal win you just scored. This post-game and post-concert party spot also features a Late Night Sausage Party special with half-priced sausages 10 p.m.-1 a.m. Sunday-Thursday. 2. 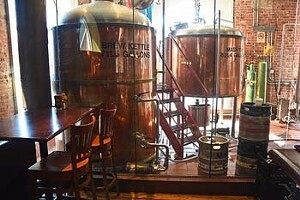 TapWerks Ale House, 121 E. Sheridan Ave. The masterpiece on display atop Oklahoma City Museum of Art (OKCMOA) is its gorgeous view of our downtown skyline. OKCMOA Roof Terrace also is home to Art After 5, held 5 p.m. each Thursday through summer. 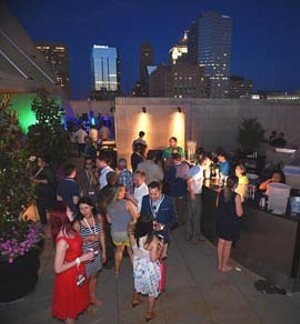 It features live music, cocktails and access to museum galleries. Cheers! 2. Packards New American Kitchen, 201 NW 10th St. This quirky, artistic, eclectic shop owned by Caleb and Julie Arter sells everything you never knew you needed. 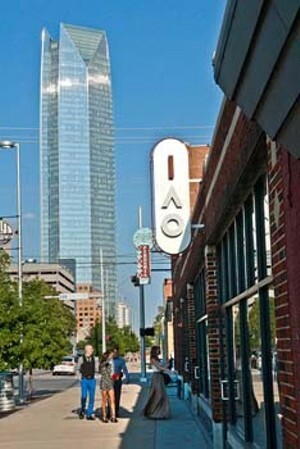 Open six days a week, Blue Seven is popular for its variety of Oklahoma-centric tees, jewelry, art, books and gifts. 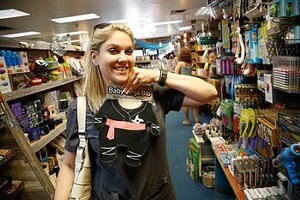 In fact, youll find its Just OK specialty shop nestled right inside this boutique location! 2. 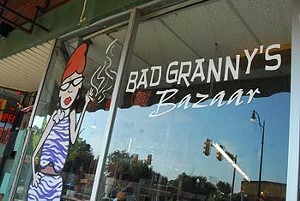 Bad Grannys Bazaar, 1759 NW 16th St.